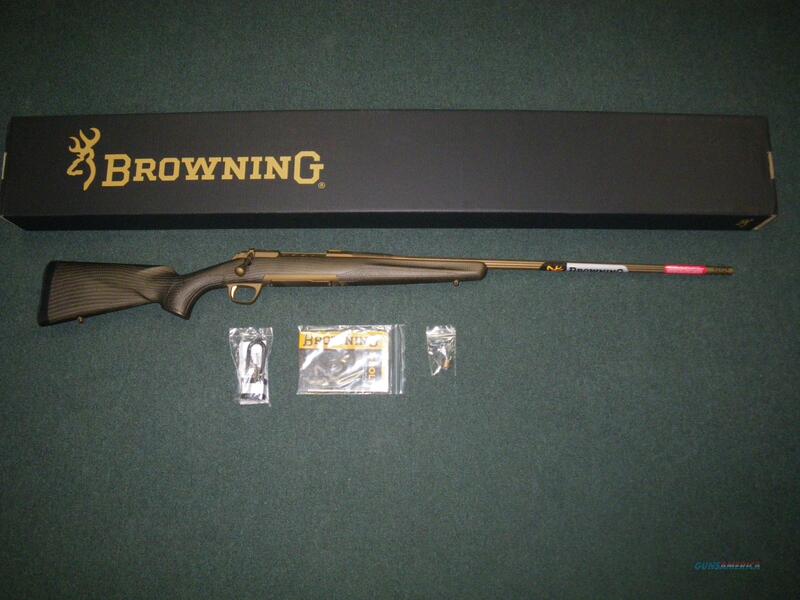 Description: You are bidding on a new Browning X-Bolt Pro in 300 Win Mag with a 26" barrel. Browning is delving into semi-custom rifle production with the new X-Bolt Pro. What classifies the X-Bolt Pro as a "semi-custom rifle" is the level of specialized finishing touches and higher end construction above the already top-tier X-Bolt family of hunting rifles. First, the X-Bolt Pro features a true carbon fiber stock, making it extremely lightweight and rigid. The stock is filled with a noise-dampening foam. Additionally, the Cerakote finish on the action and barrel is also on the exterior of the stock for added protection. The burnt bronze hue mutes the color of the stock for better concealability. The barrel features a new proprietary lapping process to provide consistent accuracy and easier bore cleaning - avoiding the need for a time-consuming break-in process. Other features include a spiral fluted bolt, enlarged bolt handle, and a threaded muzzle with a muzzle brake or thread protector cap. Displayed images are stock photos. Any questions please feel free to ask (our phone number is in the additional information tab above).